The New York Times best-selling author of Otherwise Engaged and The Mystery Woman presents an all-new novel of intrigue and murder set against the backdrop of Victorian London. Archaeologist and adventurer Slater Roxton thinks Mrs. Kern is off her head to meddle in such dangerous business. Nevertheless, he seems sensible enough to Ursula, though she does find herself unnerved by his self-possession and unreadable green-gold eyes. If this mysterious widowed beauty insists on stirring the pot, Slater intends to remain close by as they venture into the dark side of polite society. Together they must reveal the identity of a killer - and to achieve their goal they may need to reveal their deepest secrets to each other as well. What would have made Garden of Lies better? 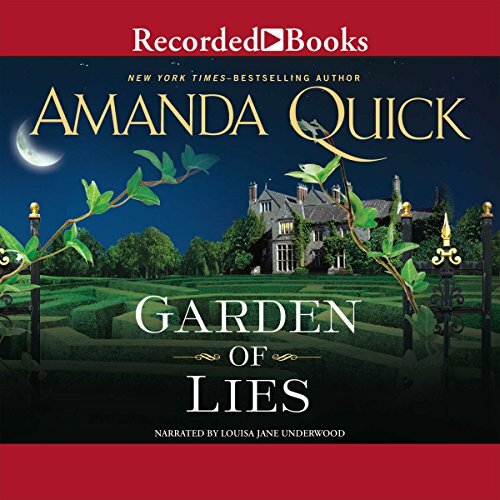 Has Garden of Lies turned you off from other books in this genre? I will certainly screen any of the authors other books much more carefully. I am a strong fan of these series, but not if done by this narrator. Who would you have cast as narrator instead of Louise Jane Underwood? What character would you cut from Garden of Lies? The performance greatly detracted from the book. The narrator did a terrible job in developing distinctive voices; the lower class characters all sounded the same and the upper class sounded the same. The American accents were dreadful. It made for a rather unenjoyable listen to one of my favorite authors. If you could sum up Garden of Lies in three words, what would they be? Loved the characters, the Narration almost ruind it. Once again a great story, awesome subcharacters but where they got this narrator is beyond me. It sounded as if she were reading a text book. and the worst 'American accent" EVER. the voiced main characters seem to be detached ...as if they were commenting on the weather. I bought and read the book after this. they story is great. I almost returned the book mid listen becuase her voice ruined it for me. 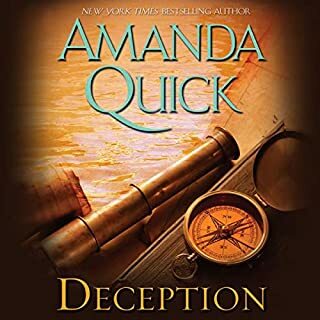 There were too many repetitions of themes from earlier books by Amanda Quick. 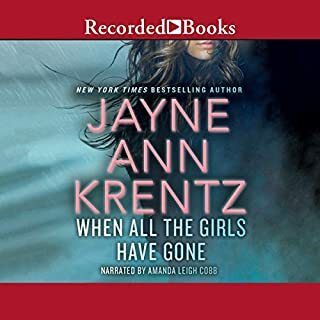 Jayne Krentz is a good writer as much as I always look forward to her new releases she may need to take a break and renew her creative energy. 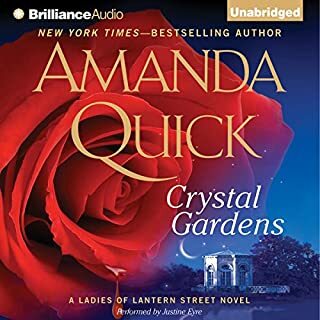 Jayne Ann Krentz aka Amanda Quick mostly writes books in which the female lead is cheerfully going about her business, whether the business is a tea and spice shop, an interest in decoding historical books, or even finding the rest of the animal that goes with a fossil tooth. They care about their romantic interest and the physical involvement comes as an expression of their shared interest and and affection, and that physical involvement is hot. This book has the best of the qualities of the earlier books. So it is sad that the narrator sounds to me about twelve years old, maybe younger. Which means she makes the woman she voices sound like a vapid twit. This book is historical romance, but just because it is a romance doesn't mean the heroine should sound as if she just left nursery school. This character has started her on business at a time when women were not allowed to vote. Her accomplishments indicate she is intelligent and energetic, so the squeaky voice is jarring. I have listened to Louise Jane Underwood narrate a work of historical nonfiction, and she definitely sounded intelligent and clear. Her voices for other characters in this book actually come out of the high registers. so it is obvious she his talented. Perhaps the producers and directors of audiobooks should be held as accountable for these weird voices as the narrators. So I won't give up on this narrator, but I will listen to a voice sample of her work very carefully, before I risk another credit on something she narrates. I kept waiting for the story to become interesting, and it never did. This whole book might well have been compiled from previous works from this author. The narration is also not good, bordering on bad. I'm very disappointed. An author's work should improve and evolve over time. This novel feels more like one of her earlier works. I'm a Barbara Rosenblat fan. So, I'm used to being entertained. 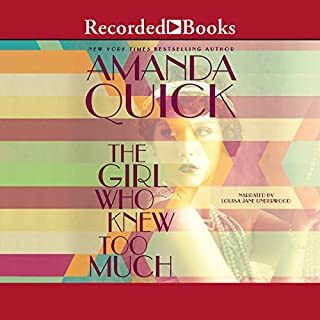 This narrative was so fast I had to turn down the speed (first time in my 10+ years listening to audible books). If the story hadn't been so good I prob would not have finished it. I am truly enjoying her story. For me it's fun! It reminds me of her earlier works my favorites are: Scandal; Ravished; Rendezvous all of her one word titles. I'm just enjoying this one so very much. Well done AQ! *note this book was very reminiscent of some of her earlier books ... wicked widow, lie by moonlight... don't look back (series), etc. The first third of the book was extremely promising in terms of the story. It went steadily downhill until some of the most drawn out scenes of the villain explaining every detail of their behaviour I've ever encountered.